This women’s t-shirt shows a retro looking camera as it is hanging around you neck. Sure it’s a vintage looking shirt with a camera much bigger then the one in your phone and this one probably uses film to. And this women’s photographer t-shirt comes in 20 colors to choose from in sizes Small – Extra large. With the need to look fun and different everyday a t-shirt like this will just be a great addition to your t-shirt collection. 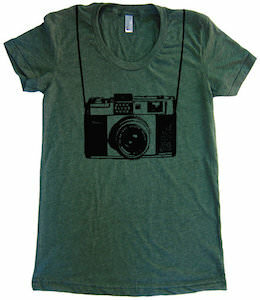 And if you like camera’s and vintage stuff then you are gone love this t-shirt. This t-shirt is sad and funny and can be a conversation starter. 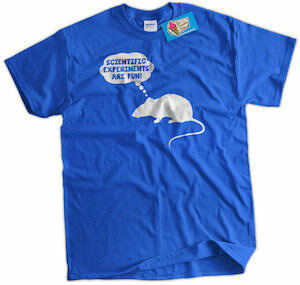 On this t-shirt you can see a rat and a thought bubble that says “scientific experiments are fun”. Of course we all know that these experiments are not fun at all for those poor animals but they don’t have a choice. Humans do have the choice to support products that where tested on animals or not so did you make you choice? If you against it or not this t-shirt is fun and can make more people aware. And for that cause they have this t-shirt in a men, women’s and kids style in all kind of colors and sizes. Are you more the exercise or the extra fries kind of person? If you choose the fries then this could be the perfect t-shirt for you. 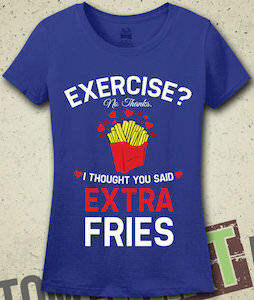 On this t-shirt you can see a nice bunch of French fries surrounded by hearts and then there is the text “Exercise? no thanks I though you said extra fries”. And you can get this t-shirt in a wide range of colors and sizes and the shirt is made by Fruit of the Loom so you know it will be perfect for you body. Just imagine wearing this t-shirt to the gym or for a walk around town it surely gone make many people smile and maybe they even get hungry for some fries. Are you the kind of person that prefers sitting behind a screen playing games all day? If so then this t-shirt is probably perfect for you. 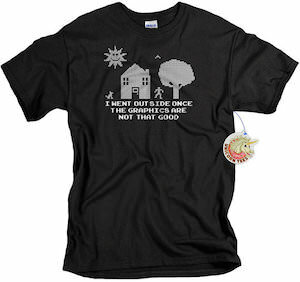 On this shirt you can see in bad graphics a house, tree, sun, human and a dog and below that picture it says “I went outside once the graphics are not that good”. And this geeky t-shirt comes in all kind of colors and sizes in men, women’s and kids style. Beside being perfect for you this t-shirt is also great as a gift for your geeky friends. And you don’t even have to leave the house because you can order this t-shirt online. This women’s t-shirt shows a stick figure doing a yoga pose. Of course it also explains the pose with the text “I Do Downward Dog”. 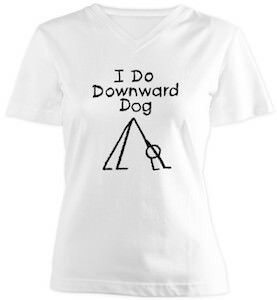 This t-shirt is great for everyday to show the world that you can do downward dog or for your yoga class. Stick figures are fun and when a t-shirt has one it is even better as then the whole world can enjoy it. This women’s yoga t-shirt comes in sizes Small – 3XL and has a v-neck. And this stick figure t-shirt is made from 100% ringspun cotton. This is a running t-shirt and yes it is a performance dry material so that it works really well to keep you dry when you are working out. Men and women both can enjoy this shirt and it comes in all kind of sizes to fit you best. Do you run just because of running? OK running is fun but if you do it just because of the reward afterwards then this is the shirt for you. 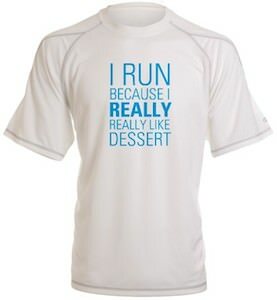 On this t-shirt you can rind the text “I RUN because I Really Really like DESSERT” and that could be a reason for me to run. If you are ready for summer and pink is your color then you just have to take a look at this pink womb’s t-shirt. This t-shirt has flowers, plants and even a butterfly embroidered on it. So now flat image that peels of in the wash, this t-shirt design you can feel. Just click on the picture above to see a closeup of the design. This cotton t-shirt comes in sizes Small – XLarge and all are hot pink. Even on a rainy day this women’s shirt will bring a smile on people faces as this t-shirt just scream summer. 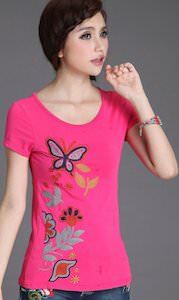 Now is the time to have a better look at this Pink Summer Butterfly Women’s T-Shirt. We all know the feeling about wondering why you even got up this morning and for those days there now is a t-shirt. 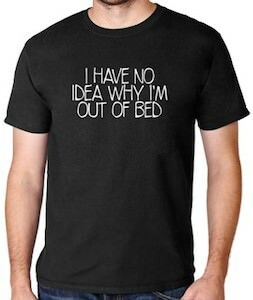 On this t-shirt it simply says “I Have No Idea Why I’m Out Of Bed”. And this t-shirt comes in a wide range of colors and styles for men and women. And yes many sizes are available to so that it fits you the way you like. Maybe this can become your goto monday shirt as that day always seems to be difficult for me. Are you that cat lady in need of some attention? This t-shirt can give you the attention you want. 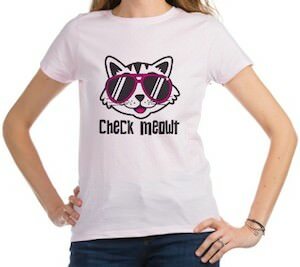 On this shirt you can see the head of a cat and this cool cat wear sunglasses and below the picture it says “Check Meowt” and that of course makes everyone take a closer look at you. This funny cat t-shirt comes in all kind of styles, colors and sizes so that you get exactly what you want. You can even get this Check Meowt shirt as a tank top making it great for summer. 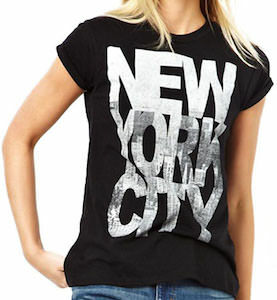 This black women’s t-shirt shows the words “New York City” and those words are made from a photo of New York. If you like a touristy t-shirt then this maybe the one but it’s also just a cool shirt because New York is just cool and hip. This black New York t-shirt comes in a wide range of sizes and it will for sure look great just like that on a nice pair of jeans. Come and have a closer look at this New York City Women’s T-Shirt.